Sign up and pay what you can; suggested donation $25. You will receive an email with instructions and links 24 hours before the ritual. New Moons are extraordinary times for setting intentions, letting go what doesn’t serve us, and moving forward with new perspectives. Please check out my Facebook Page for event specifics, every month is different depending on prevailing energies. My New Moon Events include Intention Setting Ritual and group meditation; once a quarter I teach Shamanic Journeying (see description below). My New Moon Rituals include a full guide on preparing yourself for a New Moon, setting the stage for Ritual, and setting intentions for welcoming in new energies. During the Ritual, we will bring our minds together and set an intention to cast off the old and welcome in the new. Meditating in group is extremely powerful; Ritual in group amplifies energy and creates a beautiful container in which you feel fully supported and seen in your intention. The Meditation includes a chakra alignment, rooting and grounding, connecting to etheric planes, and connecting to our vision for the future. This process not only works on energetic and emotional levels, but also on the neural pathways of the brain–as the entire session is recorded, you may listen again and again, strengthening your connection to your desired path. I love to teach Shamanic Journeying; my clients and friends love to learn to make contact with Guides and Angels without needing assistance from a Shaman, Priest, or Guru. All of us have helpers around us, all of the time. We get their messages through nudges and coincidences, but it is extraordinarily easy to go deeper, to work with these helpers and to receive even clearer guidance and messages. Shamanic Journeying has been used by every culture, all over the world, for tens of thousands of years. It’s not specific to a region or a culture; it’s a means of accessing space that allows us to communicate with our own personal Guides. My greatest spiritual breakthroughs have come from Shamanic Journeying, and in my Energy Healing work, many of my clients have spontaneously Journeyed…and it has been mind-blowing for them. 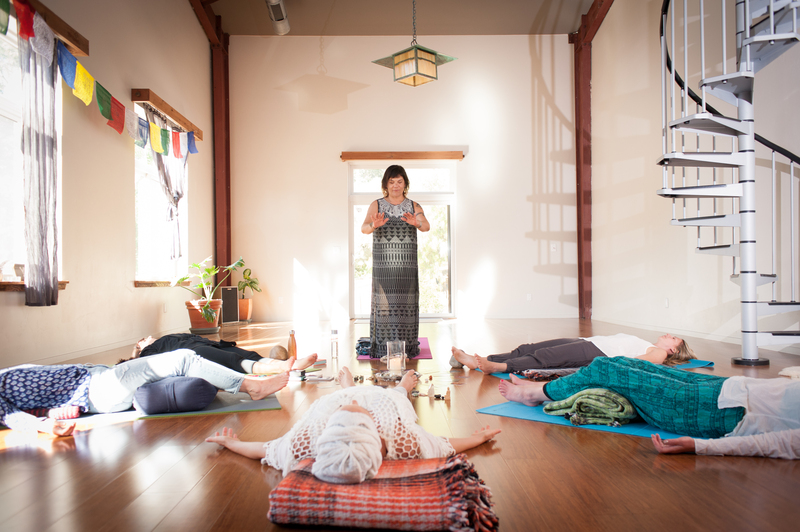 I’ve taught Journeying at retreats, conferences, and small gatherings, and I find that Journeying in Group, with my guidance and “smoothing” energy, allows access at a level deeper than may be had when practicing on our own. This low-cost group program includes a PDF guide describing the different ways you may experience energy and how your Guides may communicate with you; and an hour+-long webinar in which we set the stage for our experience, and then a group Journey. After the webinar, you will have all of the tools you need to take this practice as far as you want to. You don’t need anyone to help you work with your Guides, after your initial instruction–although my repeat Journeyers tell me that the group is so much fun they keep coming back. Please check the Facebook page for the next New Moon Journeying Workshop. You may email me at Lisa at lisacwolfe dot com for more details.